In an interesting twist to the ongoing battle between medicinal marijuana advocates and law enforcement, a Ramona couple stands accused of illegally growing pot on their property despite holding county-issued medicinal marijuana cards. At 5:30 a.m., federal and state narcotics agents – with guns drawn - raided the home of Dennis and Deborah Little. “In my mind, we're legal. Everything's good. We got our cards, we're legal,” Dennis Little told NBC 7 San Diego. The 64-year-old suffers from a chronic nerve disorder. His wife Deborah, 59 is a cancer patient, treated for AIDS for the last 20-years. 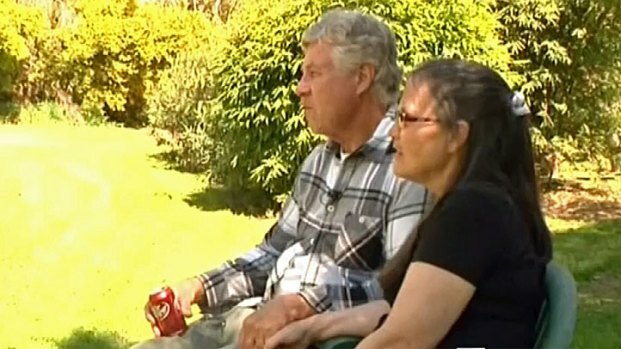 Dennis and Deborah Little were arrested and charged with illegally growing marijuana on their Ramona property. Prosecutors say there is enough evidence to show the couple was breaking the law. In 2011, they began growing marijuana after being issued medical Marijuana cards. “This was just our little private thing that we decided to try because, we were getting tired of all the, she's taking hands full of pills every day for her conditions. And I'm taking anti-depressants,” Dennis Little said. Prosecutors say there is enough evidence to show the couple was breaking the law. Legally, medical marijuana users can have an amount of the drug reasonably related to their conditions. Prosecutors say agents seized hundreds of pounds of useable marijuana. The Little's dispute that claim saying they had 25 plants. They also deny charges they planned to sell the drug. “We've never sold to anybody. We don't go to dispensaries. We bought from two dispensaries,” Deborah Little said. “I think it's silly. It's a tremendous waste of taxpayers’ dollars,” her husband added. The Little's say they've received unexpected support from medical marijuana advocate groups but are embarrassed that their private health stories have become public. However, they say they want people to take a closer look at the debate on medicinal marijuana use. “Do some research on the Internet. Check it out. Read the articles on it. Cannabis can help you, it's helped me. I swear by it,” Dennis Little said. That may be the case, but prosecutors say the Little’s broke the law and gave conflicting information to investigators. The case goes to trial later this year. If found guilty, the couple faces up to six years in prison.